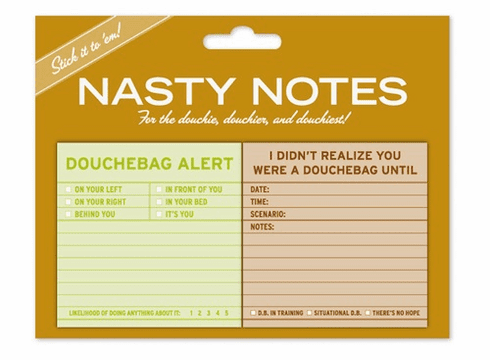 Our ultra-witty, delightfully filthy Nasty Notes are the perfect way to cultivate your inner douchebag. Ideal for the demure as well as the downright aggressive, these stickies are a one-two punch to put your foes . . . or friends . . . in their place. - Stick it to 'em!